Gov. 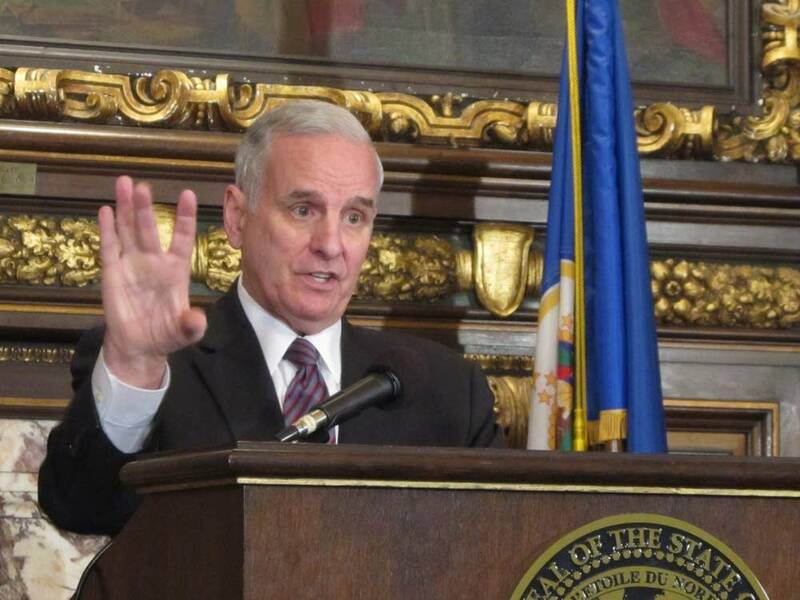 Mark Dayton wants to conduct significant spring cleaning in state government during the legislative session — and he wants to start by eliminating many outdated laws. The list of 1,000 changes released today also includes proposals to streamline government functions. The recommendations are part of what Dayton calls the "unsession," something he has talked about for the past year. Tony Sertich, commissioner of Iron Range Resources and Rehabilitation Board, unveiled the proposal on behalf of Dayton, who is still on the mend from hip surgery. Sertich said there are just too many old laws serving no purpose and getting in the way. "I know Minnesotans expect their lawmakers and public officials to look line by line to make sure that we still need every law that's on the books," Sertich said. "So that's what we're really asking the Legislature to do, as we've done as well, is to look line by line through every law and say, 'Is this law still needed today?'" Weeding out old laws is just one part of the governor's proposal. Dayton, a Democrat, also is calling for the government to take no longer than 90 days to process environmental permits in most cases. He wants "plain language" used by all government agencies, faster rulemaking and a tax system that is simpler and easier to understand. Revenue Commissioner Myron Frans said his department has already made improvements. "We had a test we ran where a business person came in to try to cancel a payment," Frans said. "It took him about 12 minutes and he finally gave up. We revamped that form, and he was able to do it in about 30 seconds. So part of what the governor has asked us to do is just make our forms and our interfacing with taxpayers as simple and as easy to do." Many of the proposals are already in bill form. House Tax Chair Ann Lenczewski of Bloomington said she'll hold a hearing Wednesday on the governor's plan for removing obsolete and unnecessary tax laws, as well as a bill of her own that would make similar changes. "Hopefully it won't become partisan," said Lenczewski, DFL- Bloomington. "I'm hoping it's not going to be, but we'll see. I think all legislators are pretty good about understanding that this concept is just to get rid of duplication, streamline things. So, that's what we'll be working on in the tax committee this week." Republicans were largely underwhelmed by the proposal. Senate Minority Leader David Hann said the priority should be to undo several tax and spending decisions that Democrats made last session. Hann said the governor's proposals are fine but they are things that the Legislature would do in the normal course of any session. "We really think if we're going to take this opportunity to undo some things, let's make it significant," said Hann, R-Eden Prairie. "Let's make it important for the people of the state, and that's what we're trying to do with our proposal." In the spirit of the governor's "unsession" idea, state lawmakers also will take up legislation this session to repeal 37 advisory panels, task forces and councils that exist in law but no longer serve a purpose.